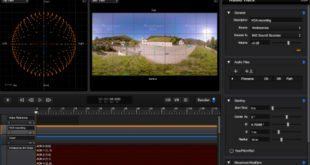 The International Academy of Design & Technology announces new Vegas View Recording facility. The International Academy of Design & Technology Las Vegas (IADT) has announced the completion of Vegas View Recording, an on-campus recording and mixing studio. Designed by studio architect Carl Yanchar and IADT’s Robert "Bobby" Ferrari, the facility is primarily a teaching studio for IADT students, but is also available to professional clients for hourly and daily lease. It offers a vocal booth, 1,200-square-foot live recording room and a control room – all with a view of the Las Vegas Strip. The control room is equipped with an SSL 9080J console and also features a 48IO Pro Tools HDX system with Waves Mercury bundle, along with a raft of outboard gear ranging from Neve 1073 mic pres; Summit Audio pres, eqs, and compressors; Bricasti Reverb; JCF Latte converters, and Dynaudio M3 main monitors with Lab.gruppen amps. The acoustical design is a modern take on the classic designs created by well known designer Bill Putman.? Traditional acoustic treatments, such as hard tile flooring, acoustical ceiling materials on the walls and acoustic absorbers near the floor for a deep low-end transmission, combine with modern technology in the control room to create what IADT describes as "a new? version of a classic sound environment." 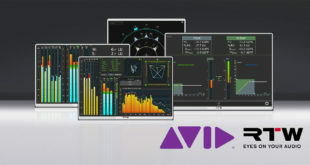 "We’re thrilled to offer to everyone – from the famous to the independent artist or group – these new professional quality services and recording facilities," said studio manager Robert Ferrari. "Vegas View Recording has been designed as a top quality studio to record and experience working with professionals and students in a comfortable environment. 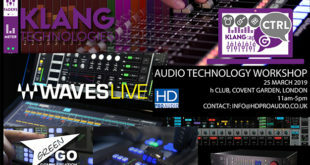 We are confident it will be a hit with recording artists, engineers, students and everyone who loves recording music." 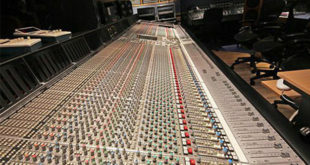 Ferrari has a long and successful track record in Las Vegas developing and operating recording studios. In 1998, he oversaw the remodel and technical install of Lee Pepper Sound; advised and chief engineered Studio Vegas (now The Killers’ Battleborn Studios); performed gear upgrades for Digital Insight Recording; and co-designed, managed, and installed the TEC Award-nominated Odds On Records & Studios. The studio officially opens for business on April 2nd 2013. A grand opening is scheduled to take place during the National Association of Broadcasters (NAB) convention in Las Vegas on April 9th.